Alex Brummer is an experienced economic commentator and multi award-winning journalist. He has been the City Editor of the Daily Mail since May 2000, where he writes a daily column on economics and finance. Prior to the Daily Mail, Alex worked at the Guardian for 26 years. While at the Guardian, Alex held positions including Financial Correspondent, US Financial and Washington Correspondent, Foreign Editor, Financial Editor and Associate Editor. In addition, he is a regular contributor to the Jewish Chronicle writing the weekly Media Analysis column. Alex Brummer also writes ‘The Money‘ article for the New Statesman. His most recent book is ‘Bad Banks: Greed, Incompetence and the Next Global Crisis‘. Bad Banks is a gripping account of the problems and scandals that continue to bedevil the world’s banking system some eight years after the credit crunch. Business Journalist of the Year at the 2009 London Press Club Awards. As a result of being one of Britain’s top financial journalists, Alex is a regular commentator on programs such as BBC Financial World This Week and BBC Business Breakfast. 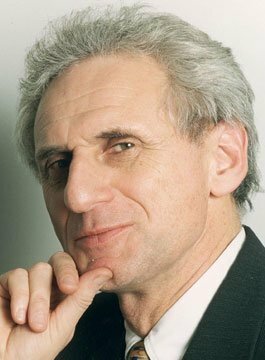 A highly regarded economics speaker, Alex Brummer delivers thought provoking speeches on a number of finance related issues such as the impact of Brexit on UK, Europe and international economies. Stephen McKee - Chilworth Partnership Conference.